This is a D&D character that I was commissioned to paint. 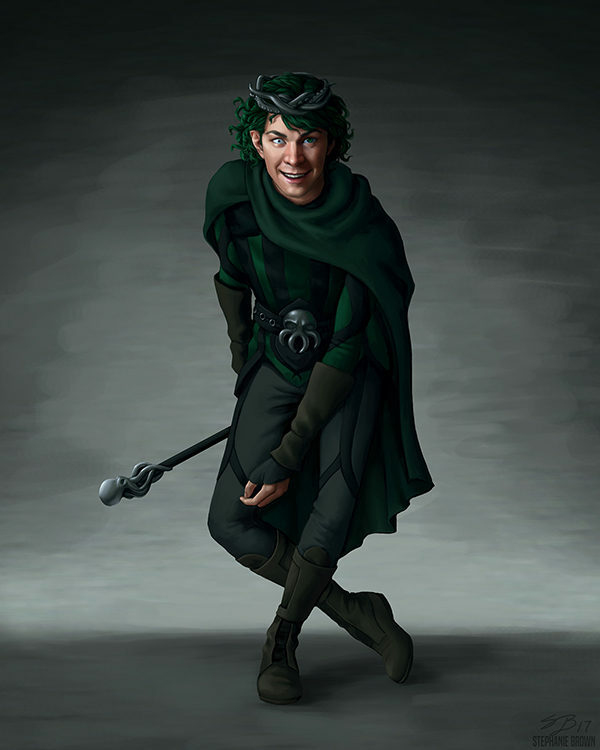 He was described as a halfling warlock and a crazed worshipper of Cthulhu. He was a ton of fun to design and paint!